Score! Tap into your inner athlete without leaving your seat. 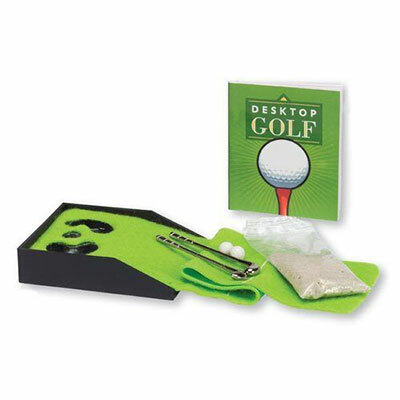 Turn any tabletop or desk into a golf green with this fun kit. 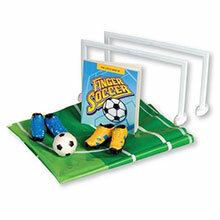 Rule book included.